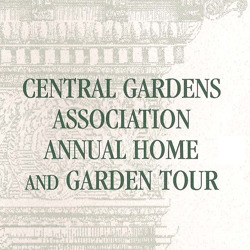 An annual event since 1976, the tour takes place the Sunday after Labor Day and features several of our beautiful historic homes. By Barbara B. Viser. A history of the neighborhood featuring profiles of prominent residents, neighborhood institutions, and modern and period photos. 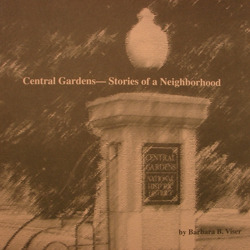 Autographed by author Barbara B. Viser. 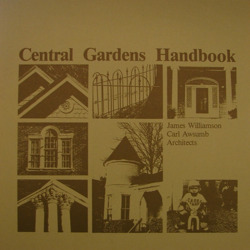 Second Edition, by James Williamson and Carl Awsumb, architects. The handbook is designed to help residents in their efforts to preserve the historic neighborhood. 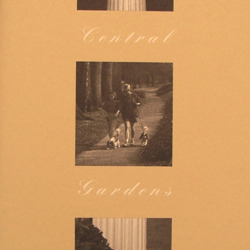 Explore Memphis history through the homes of Central Gardens guided by this walking tour booklet. 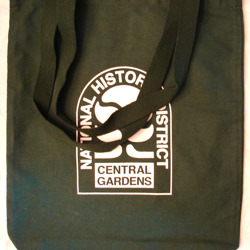 Dark green cotton woven tote with white Central Gardens logo. 14" H x 13" W with 3" gusset and 24" straps. 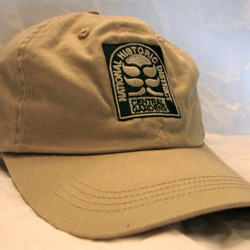 Khaki cotton cap with green and white Central Gardens logo and adjustable fabric strap in back. 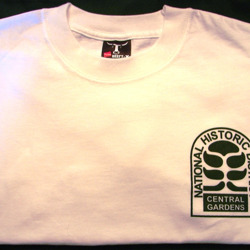 White preshrunk cotton tee shirt with green Central Gardens logo embroidered on left chest. Please indicate your size (M or XL) at checkout. 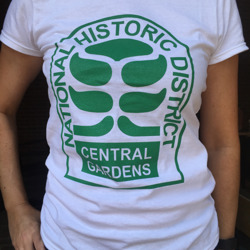 White preshrunk cotton tee shirt with green Central Gardens logo screenprinted on left chest. Please indicate your size (S through XL) at checkout. 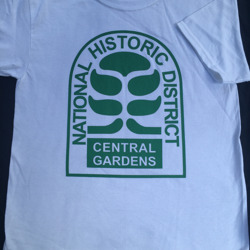 White preshrunk cotton tee shirt with full front green Central Gardens screenprinted logo. Please indicate your size (S through XL) at checkout. 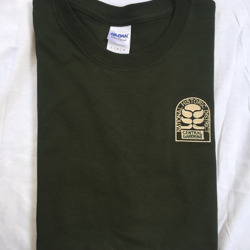 White preshrunk cotton tee shirt with full front green Central Gardens screenprinted logo. Only youth medium available. 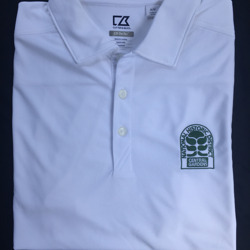 White Cutter & Buck men's DryTec polo shirt with green Central Gardens logo embroidered on left chest. Please indicate your size (M through XXL) at checkout. 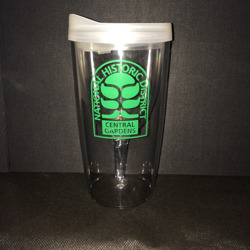 Clear plastic 10-ounce insulated wine tumbler with green Central Gardens logo. 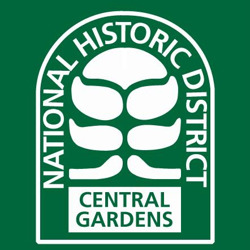 Tan can cooler with green Central Gardens logo. 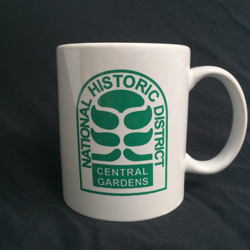 White ceramic coffee mug with green Central Gardens logo. 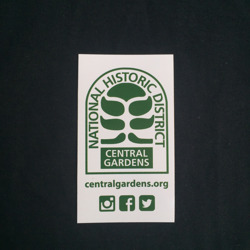 White business card size magnet with green Central Gardens logo and social media icons. 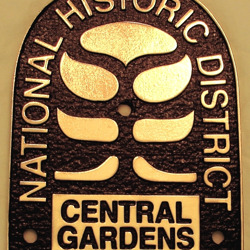 Brass plaque featuring Central Gardens logo. 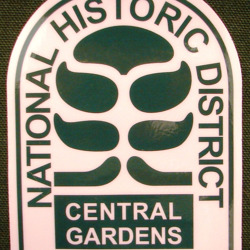 5.25" H x 4" W.
White static cling window sticker with green Central Gardens logo. 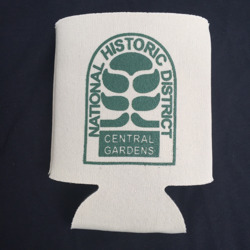 4.5" H x 3.5" W.
Green nylon banner with white Central Gardens logo and pole hem. 3' H x 2' W.
Green nylon banner with white Central Gardens logo and pole hem. 5' H x 3' W.